This historic event is featuring five experts from Canada, England, and America, who will present seven papers on the life, reign, and sainthood of Nicholas II. The Nicholas II Conference will meet in England this autumn, marking the 150th anniversary of the birth and the 100th anniversary of the death and martyrdom of Russia's last emperor. This conference will bring together people from all over Britain, Europe, and abroad, to share and discuss one of the most documented and maligned monarchs in world history. The conference is attracting Christians, Monarchists, and adherents of Tsar-Martyr Nicholas II from around the world. This historic event will feature five experts from Canada, England, and America, who will present seven papers on a variety of topics on the life, reign, and sainthood of Nicholas II. The Conference location is St. John's Orthodox Church in Colchester, England, and the date is scheduled for Saturday, October 27th, 10 AM - 4 PM. Details are available on the Nicholas II Conference website. For additional questions, send and email to [email protected] or call Paul Gilbert (905-697-5796). 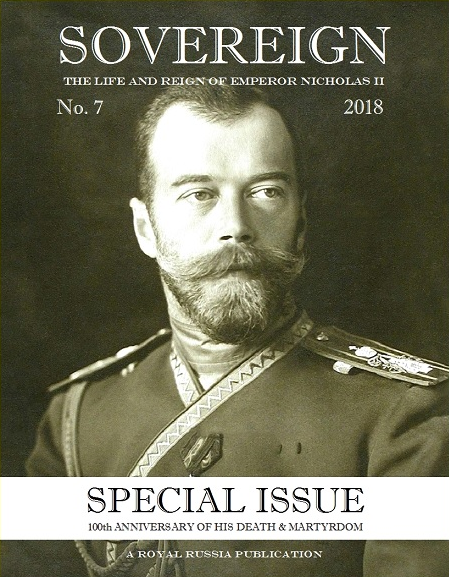 Paul Gilbert is also able to provide information about the publication, Sovereign: The Life and Reign of Emperor Nicholas II.